Angular 5.0 is a one of the recent releases of worldwide popular technology created by Google. All the developers were celebrating the birth of new Angular version on the first day of November, 2017. This release has produced a lot of talks around it and has transformed into a total madness for all who are interested in Angular since it’s first release. Let’s find out why this framework was pulling the public into consideration of the new Angular sensation and, moreover, why a developer of progressive mobile applications simply has no right to leave it without attention and choose Angular 5.0 in order to use it in his/her projects. Nevertheless, before we submerge into the world of Angular 5.0 and become familiar with all its worthy features, we are eager to shortly describe some enhances the Angular team have implemented into their product in order to make our article more understandable and interesting for you. What’s the distinction between the new release and the previous versions? After the launching Angular 5.0, Google has got an opportunity to sign some parts of users' application as those which are on accordance with some standards and get the parts which can be painlessly deleted. In order to make the launching time of your app shorter they even decided to exclude the Angular decorators from the code runtime part. In case you need a helping hand in organizing the server-side rendering of your app you may probably want to employ the API which specializes exactly on such problems. Moreover, implementing this technology and bootstrap it as a next step you will enhance the accomplishment of your application by supplying scrape and crawler elements that are not servicing by JS. It provides a developer with an opportunity to organize monitoring for his router life cycle from the launching moment and activation the guards till the finishing of the activation. Such enhancement supplies a developer with much quicker process of rebuilding, especially for some projects creation or those product which use AOT. Moreover, thanks to some extra add-ons for Decorators which have been there now we have a possibility to eliminate the whitespace which leads to shipping tiny bundles. You may find more various add-ons for Angular 5.0 as it was mentioned only couple of them. All of them transform Angular into one of the most powerful technologies for app development ever created by Google. Hope this few lines made you quite familiar with the sense of the new Angular release. According to this hope we are finally ready to start reading the list of the several “why?” modern app developers should put their attention on it in order to use for creating their products. The bigger launching period - more disappointed and frustrated consumers will appear. This leads to the reducing of the demand on your app and its popularity. This is the source of the biggest number of your app deletion. Nevertheless, it can be handled by Progressive Web Applications instanced by Google. What you should be aware of in PWA? 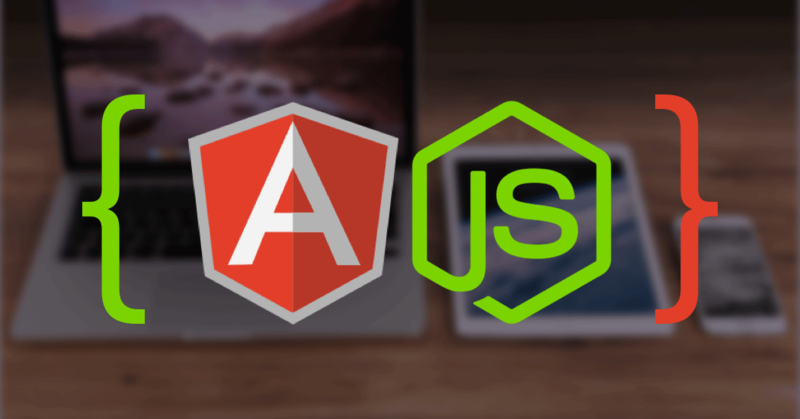 Service Worker is instituted by Angular 5.0 API in order to synchronize it with the PWA standard. Actually it is the JS Worker that is performed as a background process and even provides us with the functionality execution that may be enabled without any action of the web-page or the consumer. That is why, with this tools, considering that browser caches is used by web-page to inure to benefit to its users, it is possible for application to implement some offline possibilities and features. Such innovation is an enormous step to progress for the Mobile Application development because the problem of the lack of offline mode for some web-pages was the main reason of their unpopularity. Material Design is really compendious framework for mobile applications that allows to create more interesting and original mobile applications’ appearance. Thanks to the Angular 5.0 it is possible to organize server-side rendering with elements of the Material Design. And this achievement without any doubts can be considered as gratification for the the UI/UX designer team. This Google’s endeavor be helpful in enhancing the consumers perception of the visual language without dependency on their age. In case you are practicing an Angular development, don’t be surprised if in the nearest future we will see rather mature Google’s technology as they are now working on handling some issues in order to present more powerful set of features. The main reason of why so many apps have been abandoned is an enormous set of various lags and bugs. That can explain the low performance of apps. Also, when your application is not responsive it really discourages users and that is another cause why consumers may abandon the app. Nevertheless, the decision has been found. The Response, Animation, Idle and Load (RAIL) Model has been fundamentally renewed with the help of Angular 5.0. This model was created in order to put emphasis on building rather responsive applications with high sensitivity of consumers' activity. Actually, as Google always emphasizes the speed of user interface and the speed of giving responses, Angular 5.0 is imagined as a special feature for providing such options. According to the idea, it should provide us with an opportunity to open the page less than in 0.1 s. If we take as a default mode the lack of animation, scrolling etc, a page should be downloaded within 0.01s. And in the end user must find the content he/she was searching for in less than 1s. It is the exact goal the Angular Build Optimizer is aimed to achieve. The developers can finally breeze freely as they do not have to do anything in order to run this tools as it was integrated to act automatically. Moreover, such upgrade make the total weight of the app rather lower as there is no more any unnecessary code. Implementing the StaticInjector leads to the possibility for Google to simplify the process of reducing extra apps’ size for the developers who use Angular products. So, as you can see now, the new release of Angular 5.0. comprises a huge set of various tools and features in order to provide a developer with an opportunity to create fast and more responsive applications. This, by all means, has a great influence on the developers community and really simplifies their work by giving them a chance to concentrate on other different problems. Moreover, we think that they may present more innovations in the nearest future, so prepare yourself to be shocked! New information about Angular 6 you can find in our new article Native Android and iOS Apps with NativeScript and Angular 6.